Are you looking for a toe-tappin’ vacation set to the tune of homegrown music? Well, you have found a mecca of traditional mountain music right here in Haywood County, NC! The North Carolina Smoky Mountains offer a little something for every mountain music lover, whether you prefer the smooth pickin’ of the banjo or the stomps and turns of traditional folk dances. No matter the season, there are numerous ways to explore the musical heritage of Haywood County among the picturesque background of the North Carolina Smokies. Haywood County is one of the many stops on the Blue Ridge Music Trail, which highlights the traditional music of the Appalachian Mountains. This provides a unique firsthand experience of the sound and culture of the region. And when your day has come to end, there are over 800 accommodations to rest and recharge before your next adventure. The 46 miles of twisting mountain roads that run through Haywood County are one of the most popular attractions in the area. Hop on the Parkway outside of Maggie Valley just off Hwy. 19 and head north toward Canton. 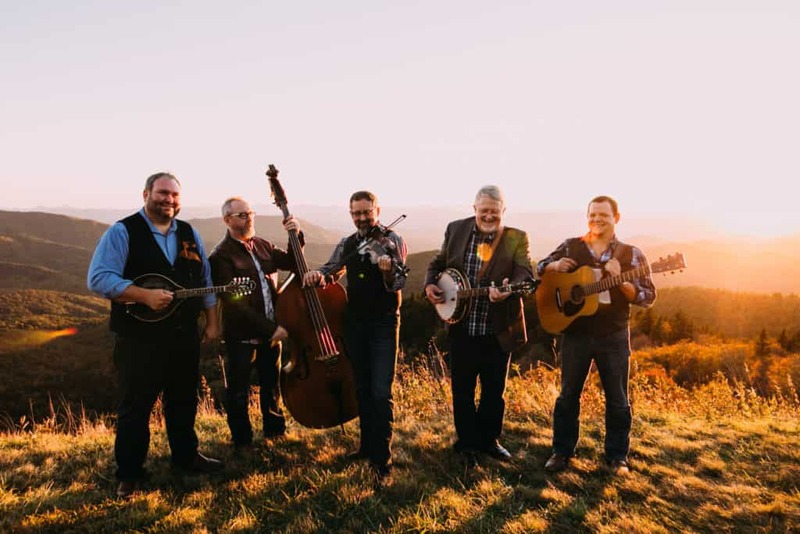 This will take you on an exquisite drive through the Balsam Mountain Range, which is where Haywood County’s native bluegrass band, Balsam Range, got the inspiration for their name. Stop and stretch your legs at two of the most popular hiking areas, Graveyard Fields and Devil’s Courthouse, which are sure to inspire you as well! A visit to the Shelton House is a must for anyone intrigued by the musical heritage of Haywood County. The Shelton House was built in 1875 and is listed on the National Register of Historic Places. Housed in and around the Shelton House, the Museum of North Carolina Handicrafts features comprehensive exhibits of 19th-century crafts including handcrafted dulcimers, which are key instruments in traditional mountain music. After breakfast, travel back in time to one of the most beautiful and remote parts of the Great Smoky Mountains National Park. Cataloochee Valley is rich in mountain history, laced with abundant wildflowers and rich with wildlife including elk, white-tailed deer, black bears, butterflies and many species of birds. With several hiking trails, streams for fishing and preserved buildings from the early 1900s, there is plenty to explore in the valley. We hope you packed your dancing shoes because you’re going to need them! Depending on the night of the week, there are several options to choose from. Pickin’ in the Park and Pickin’ in the Armory take place in Canton every Friday. One bluegrass band and one clogging team will be featured each week. Many local musicians also join to create group jams throughout the event. The Old Fines Creek Dance located at the Fines Creek Community Center is alive with traditional mountain music and dance every Saturday night year-round. Each week, different old country, early rock-n-roll and mountain music groups grace the stage and are eager to share their technique with newcomers. Come see a variety of Appalachian and other American country dance styles performed in one place during the weekends at the Maggie Valley Stompin’ Ground. The Ivy Hill Band plays a variety of mountain and popular music‚ from old-time fiddle tunes to contemporary country hits. Dancers hit the floor dressed in fanciful outfits and perform line dancing‚ square dancing‚ clogging and the two-step. Restaurant Suggestions – Haywood County is home to such a wide range of locally owned and operated restaurants that we couldn’t just pick a few! From casual, down-home eateries to gourmet, fine dining and everything in between, we have it all here in Haywood. For a full listing and more information, visit the Dining Page.